Sweden, with its rich forests and stretching, untouched wilderness offers a unique hunting experience of a lifetime for travelers from all over the word. 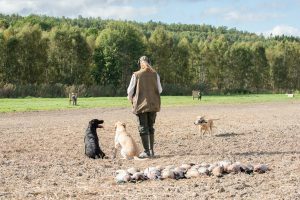 Hunting is one of Sweden’s biggest recreational hobbies with over 300,000 hunters in the population of only 9 million people. 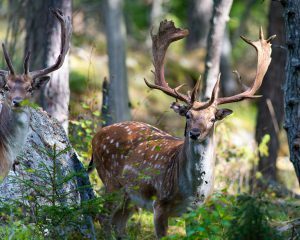 Hunting in Sweden offers a hunt of a lifetime with a variety of animal game and climates to suit every hunter’s needs. Casual hunters to experienced, big game hunters will have a chance to step out of the ordinary and experience new challenges for those ready for it. Sweden is a hunters dream in both the winter months and warmer times of the year. Braving the elements of the Swedish winter make for an adventurous hunt and offer breathtaking views of untouched nature, often covered in snow, as well a challenge for those who are ready to pursue it. The colder weather and dense forests can be challenging for hunters not accustomed to the change in scenery and climate. It’s important for hunters new to Sweden to have the correct guidance and gear, to have a memorable hunting experience. Sweden offers a variety of wildlife and game species unique to Scandinavia including the impressively large moose. Moose is one of the most popular game sought out by hunters traveling to Sweden yearly. There are also many other game animals roaming freely for hunters to target. Other game animals include wolves, lynx, game birds, wild boar, bears, beavers, red deer, foxes and more. No matter what game you’re wanting to hunt for, the Swedish landscape is teeming with wildlife and offers a varying degree of challenges and skill for hunters. Hunters desire a challenge and Sweden is ready and willing to rise to that challenge. Whether hunting large game, navigating the Swedish wilderness or gaining new skills, every hunter will enjoy a unique challenge. The untouched landscapes offer ample hunting grounds with plenty of wildlife to enjoy. Sharing this experience with friends will be one you remember for a lifetime! It’s important to be informed of what is needed and permitted for hunting in Sweden. What permits and permissions do you need? Where can you hunt? Can you use your own weapon? What weapon is recommended for specific animals? Where can you find the best accommodation? All these questions should be answered before you set out on your Swedish hunt. It is strongly recommended to hire a hunting guide who can arrange everything for you, allowing you to have a relaxed and enjoyable hunting trip. Do you want to know more about Hunting in Sweden? Feel free to contact us now on +46-703 818881 or just write an email at info@huntamore.com, and we will get back to you.